Brighton, MI – February 7, 2019 – Lowry Solutions has raised more than 27,000 meals for Gleaners Community Food Bank (Gleaners) through a company-wide community outreach. The company held its annual food drive resulting in a total of 27,300 meals for 2018. The company has been raising meals for Gleaners for more than 4 years. Lowry is committed to giving back to the community through their #LowryGivesBack program. They have created outreach initiates that support other organizations in and around Livingston County. The Gleaners partnership is just one of several fundraisers and outreach alliances that Lowry hosts along with an eight-year Intern Partnership with Pinckney New Tech High School and their signature “Jeans for Charity” Fridays with a 100% organizational match. 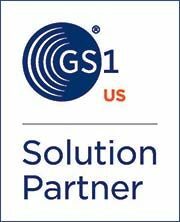 Lowry Solutions is a global systems integrator of complete IIoT, RFID, managed print services and barcode solutions for supply chain applications. As the industry leader for more than forty-five years, Lowry has been implementing real-time asset visibility solutions that simply traceability and improve business outcomes through sustainable solutions. The company continues to evolve alongside its customers to provide the most complete and modern data collection, integration, and management solutions available. Lowry Solutions is headquartered in Brighton, Michigan. For more information please visit lowrysolutions.com or call 888.881.2477.